Pricing your home right is important for the following reasons. If the price is too high, it will not sell or take 2-3 times longer to sell, if it does sell. If the price is too low, you will have many offers very quickly but that should tip you off that it’s probably because its prices to low. You mighe end up shorting yourself $5-10K easily. It all depends on where YOUR price is relation to fair market value. So how do you find fair market value? You can have your home appraised by a licensed appraiser. In many cases, realtors also can provide a “CMA” (Competitive Market Analysis) which is a realtors version of an appraisal without calling it an appraisal. The more knowledeable realtors are usually accurate but there are some new and “green” ones out there that can overlook important factors of your home or neighborhood and give you a misread on your value…so be careful. How is this CMA done? The key question is ” What are people willing to pay for the house these days?” To answer this, look at what people have bought recently and what was paid. Put yourself in the mind of a buyer that would be interested in YOUR home. If YOU were house shopping for a house like yours, wouldn’t you also shop and compare to nearby similar neighborhoods based on size, price, and area condition, etc.? This is the basic mindset that the appraiser takes when valuating your home. Since appraising is what they do, they know what is typically paid for more square feet , bedrooms, condition, etc. and adjustments on the price are made accordingly. Some people have attempted to figure out prices by doing “price per square foot” on the sales prices, but this can be easily misleading. When you shop for a car, you don’t look at it based on price per ton, price per passenger, or cylinder. It’s a combination and overall picture. So keep that in mind. Once you know what your house is worth, you are ready to put it up for sale. Traditionally you would go to a realtor, ut now there are many “do it yourself” For Sale by Owners out there. Either way, it is customary to list your house 2-3% higher than market value to make room for negotiations. This is all up to your personal preference. In recent months, many sellers have been getting full contract offeres so the market is on the seller’s side. Supply is short and demand is high so… It’s HOT out there! People will call and your home will be shown. Afterwards, contracts will be written and submitted to you. You can either reject the offer or counter offer. Make sure that buyer is pre-qualified in writing. Request a “Pre-Approval” letter. This will save you the trouble of finding out later that your buyer can never get financed. Once a contract is made with both parties in agreement, you will have inspections. Typical inspections are home inspections and appraisal inspection. Appraisal: This is an inspection to determine the market value of a home. This is used by you and your lender to make sure the house is worth what you are paying for it. 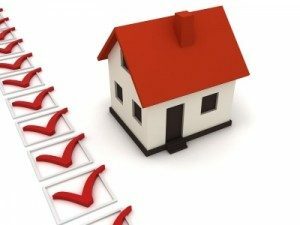 Home Inspection: This inspection is not require by the lender but is highly recommended for every buyer. This inspection will uncover all notable defects of the home both minor and major. If there are any items of repair or concerns that were noted in the purchase and sales agreement or home inspection, the buyer submits to you in writing the requested repairs. In regards the appraisal, if the value meets the sales price, most likely, all is well. If it doesn’t, contact the appraiser to find out details. If you disagree, give supporting evidence for the value of the sales price or seek other professional advice. If the appraised value still does not meet the sales price, then negotiations open up between you and the buyer. A closing date is typically set in the initial contract. If everything goes well and you make it to the closing with financing in line and all inspection items satisfied, you are ready for closing. This is where the buyer and seller come together and the title, finacing, money and paperwork are all exchanged or handled. Closing is typically help at a title company. A the end of the closing, the seller gets their proceeds and the buyer gets the keys (depending on circumstance but is normally the next day). Everything is complete. Congratulations!